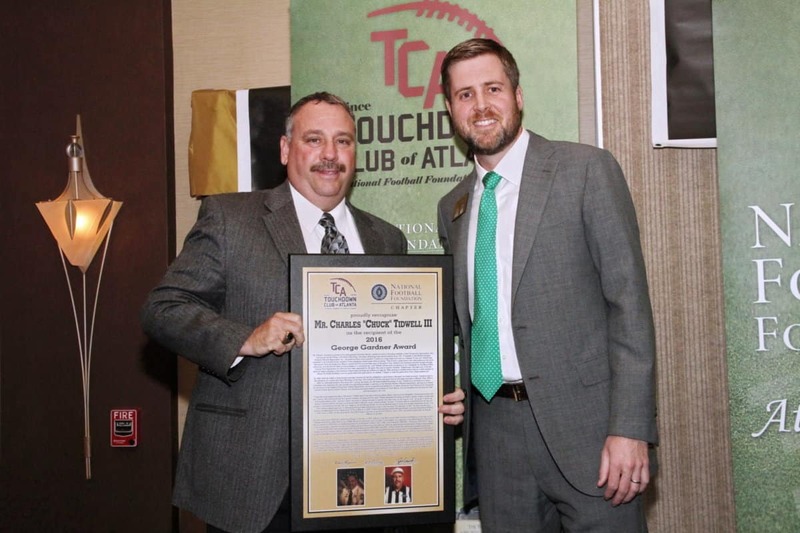 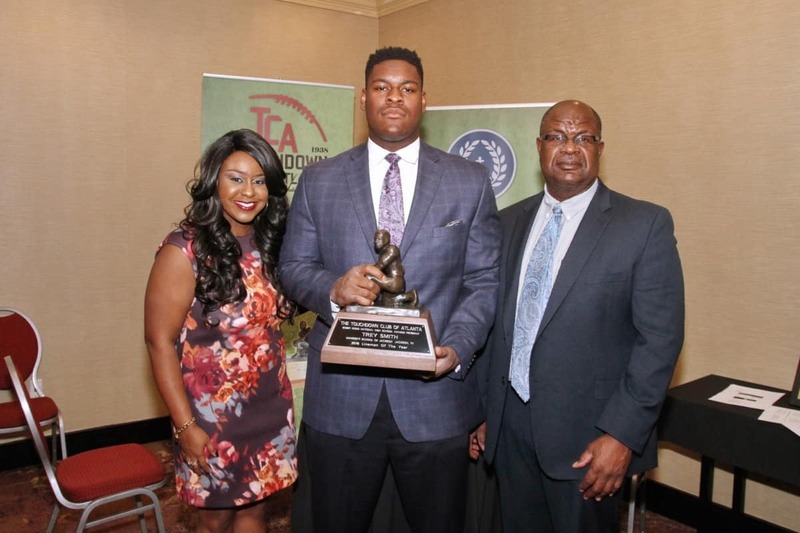 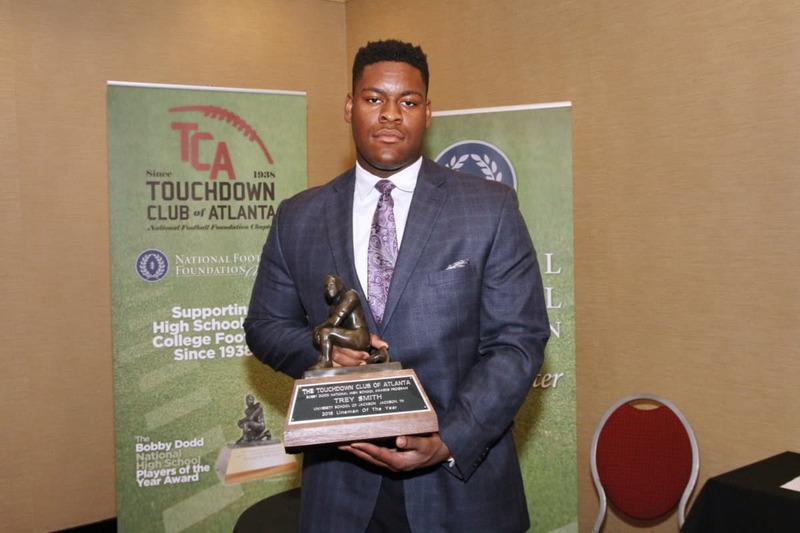 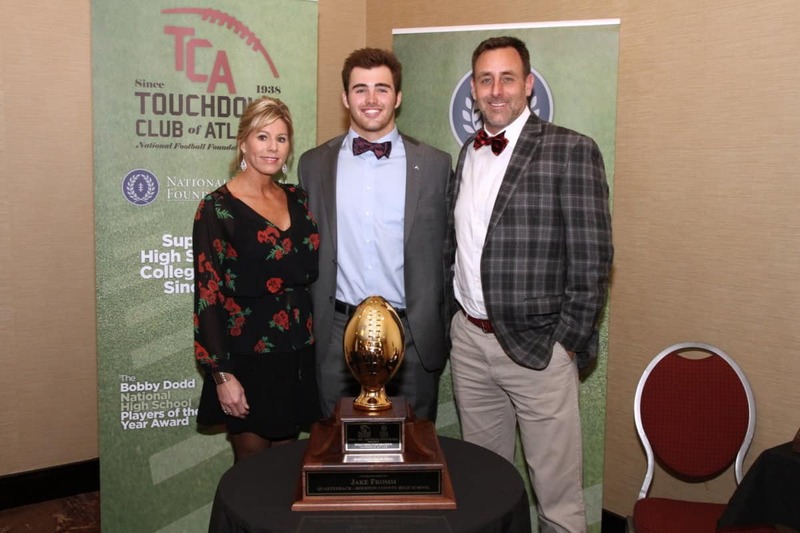 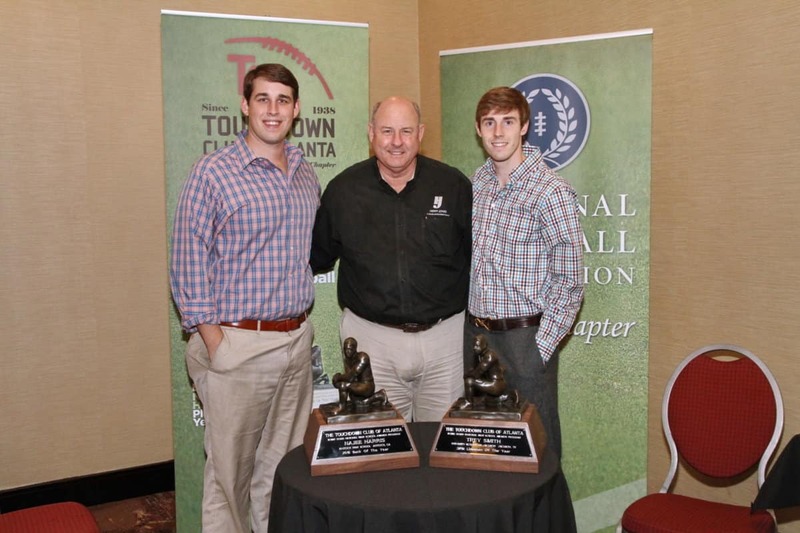 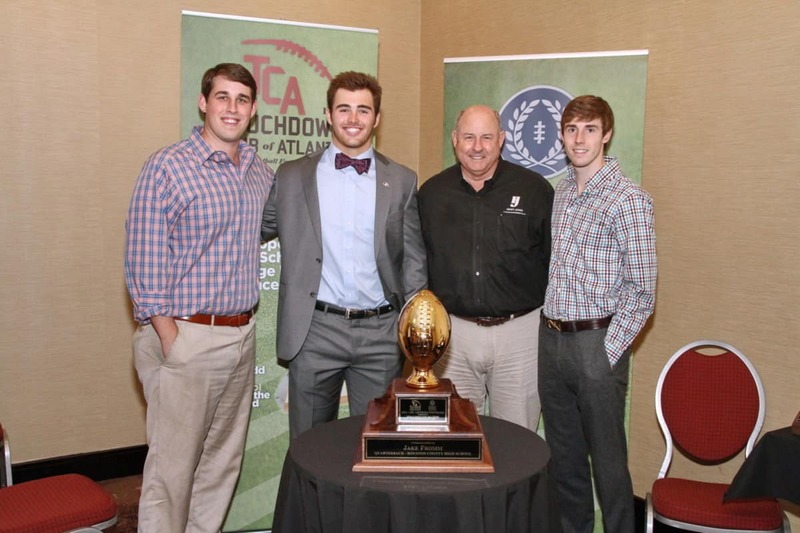 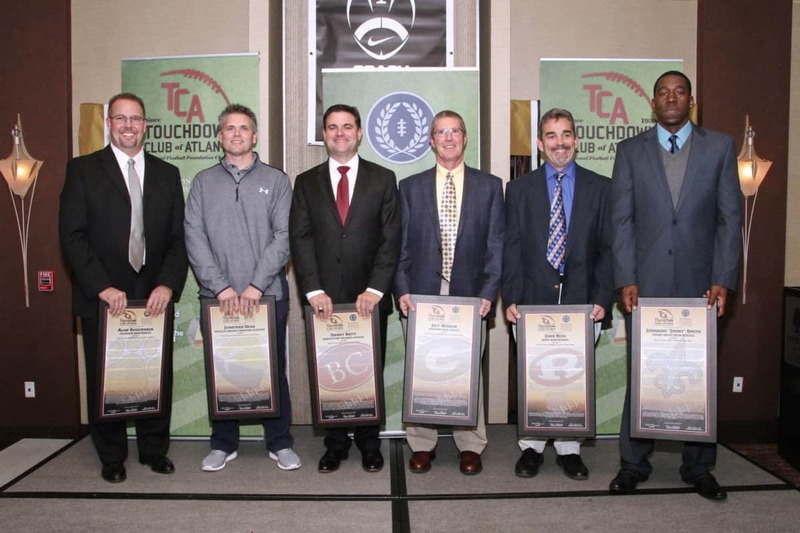 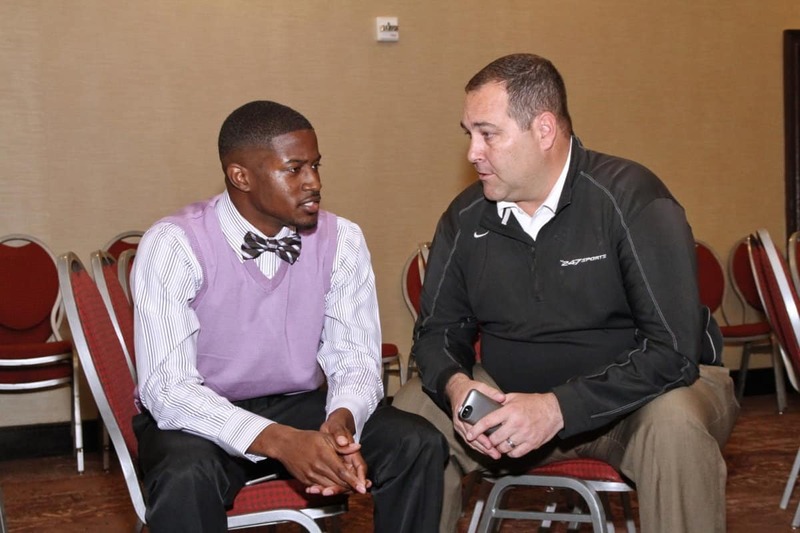 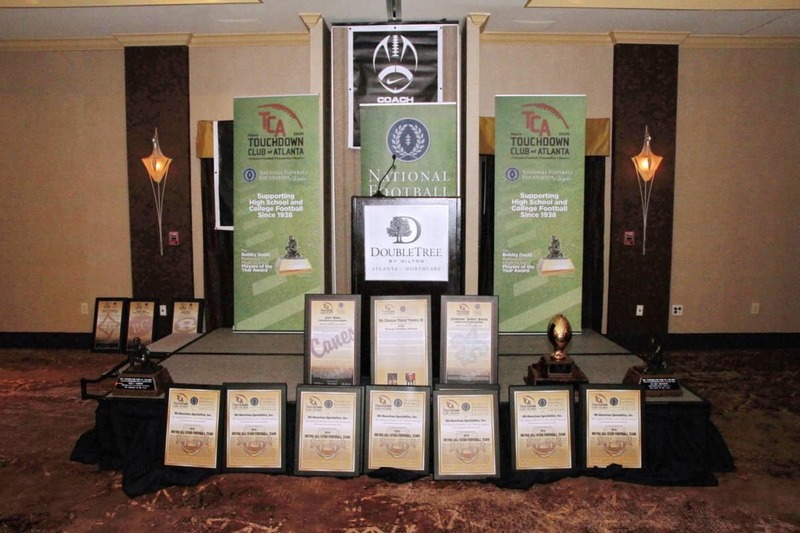 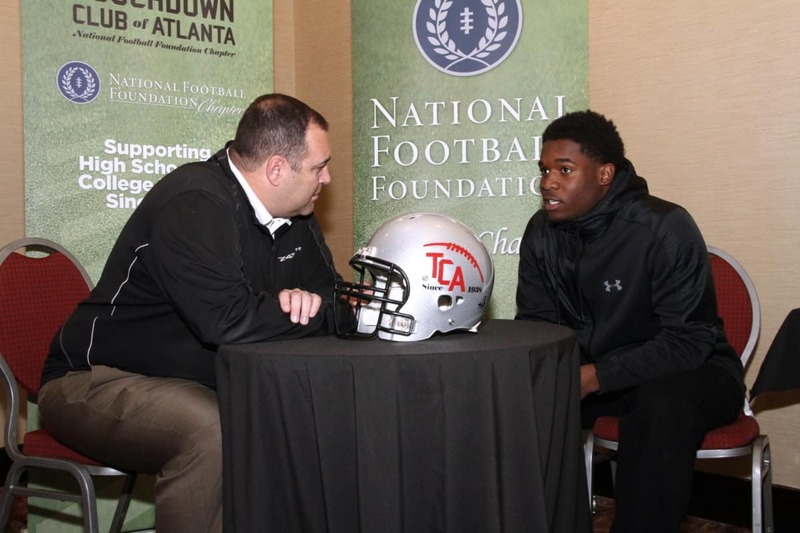 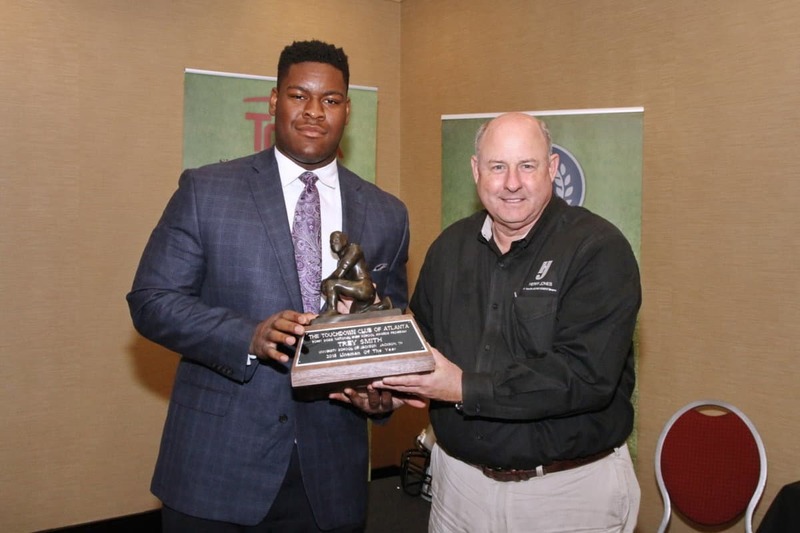 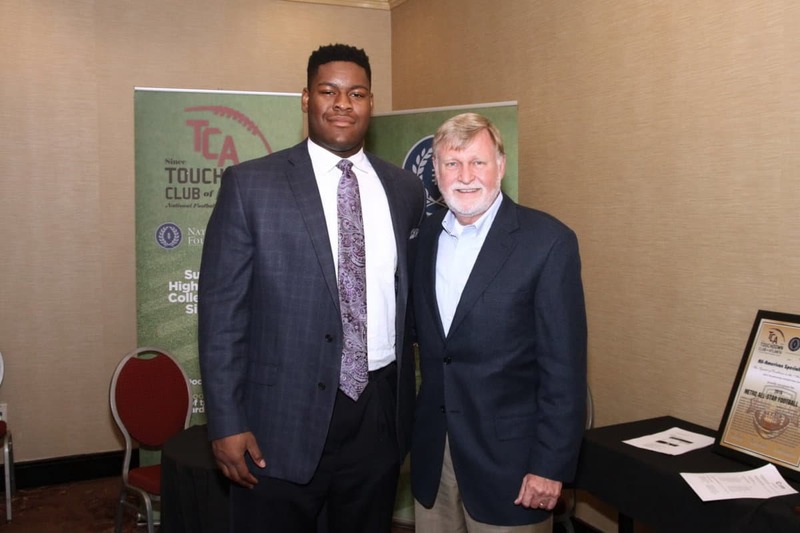 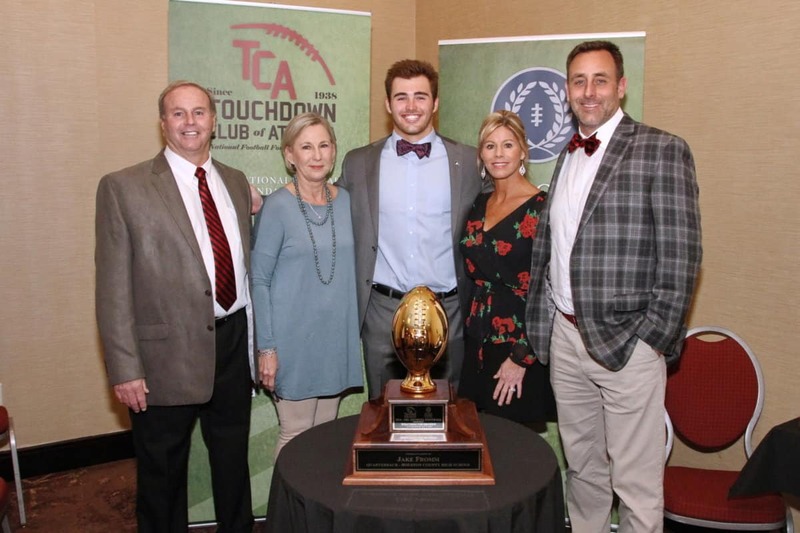 The Touchdown Club of Atlanta held our 78th Annual Awards Banquet on Thursday January 26, 2017 at the Northlake Doubletree in Tucker, Georgia. 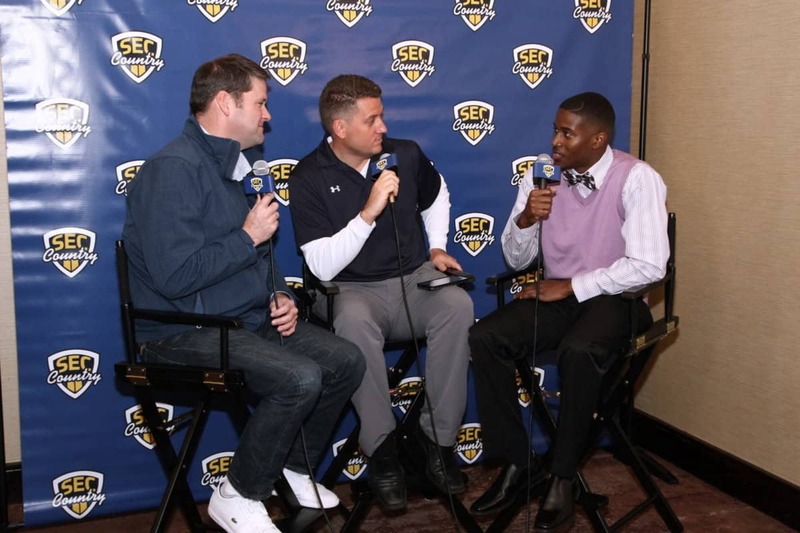 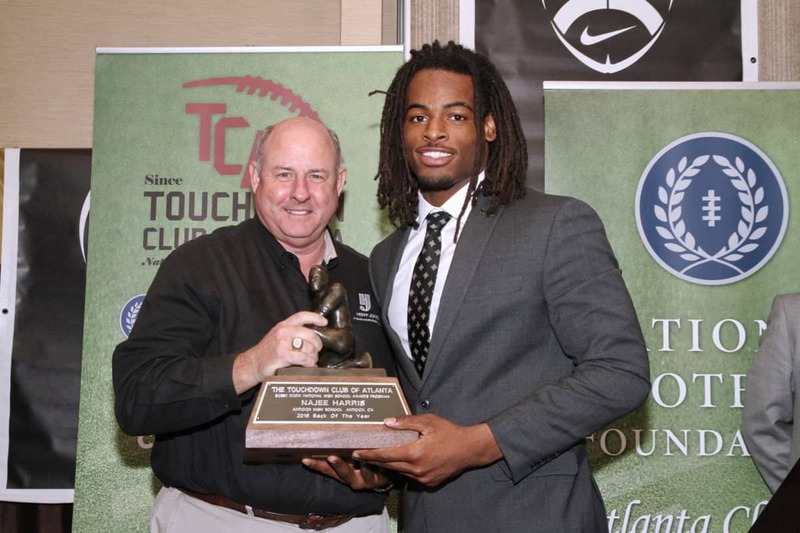 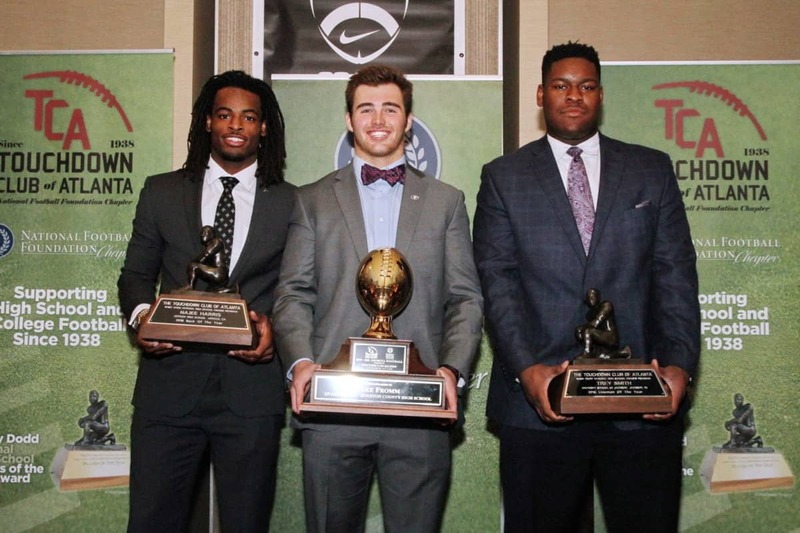 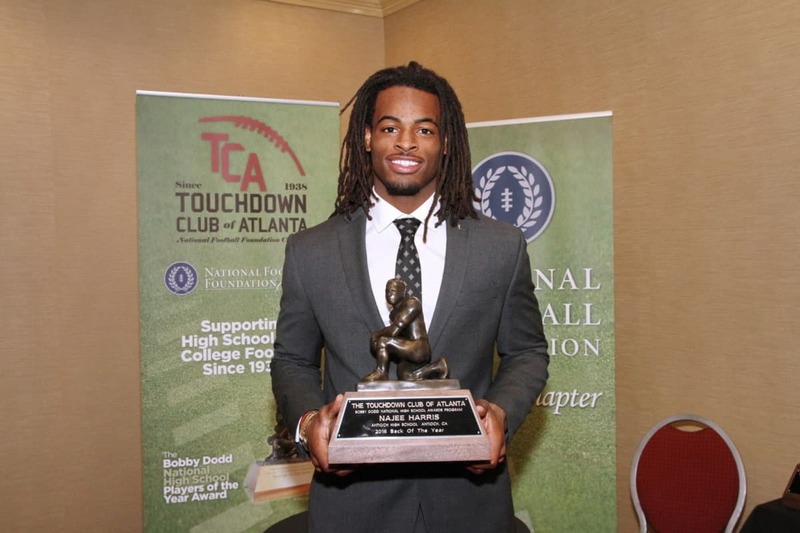 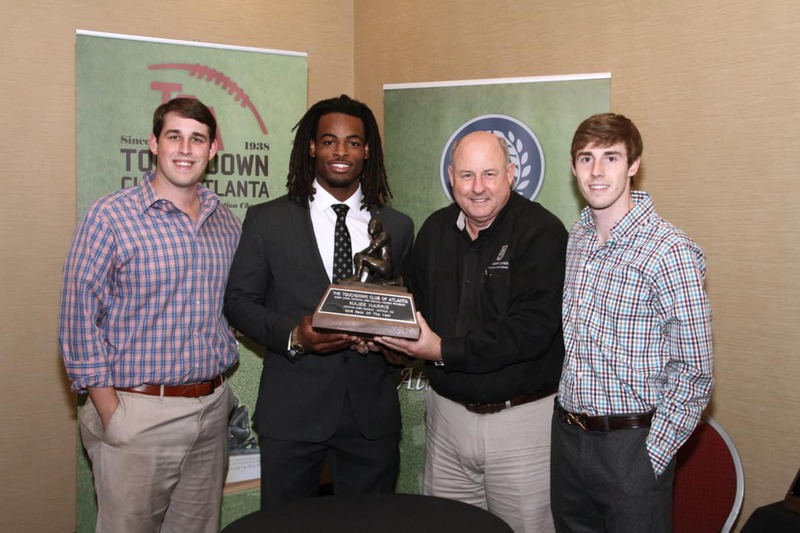 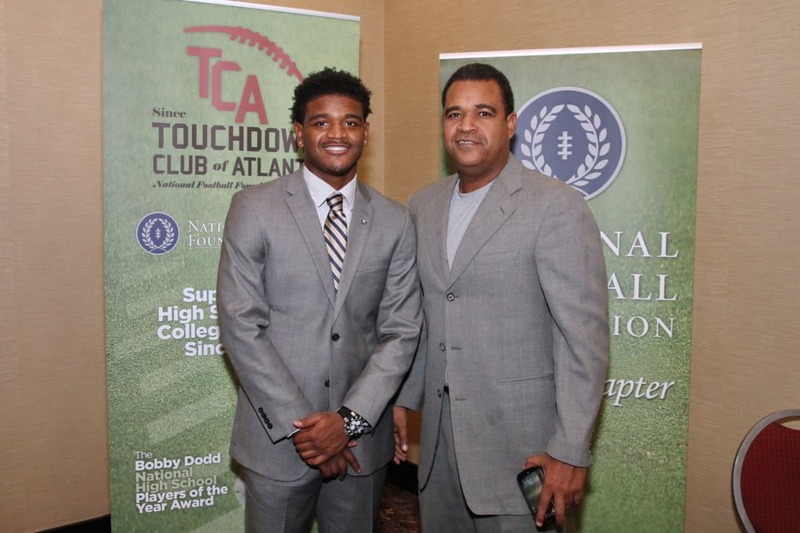 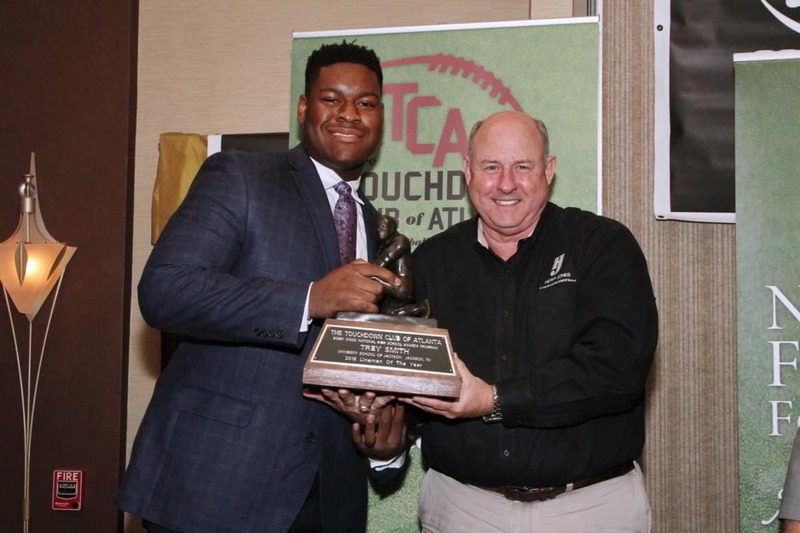 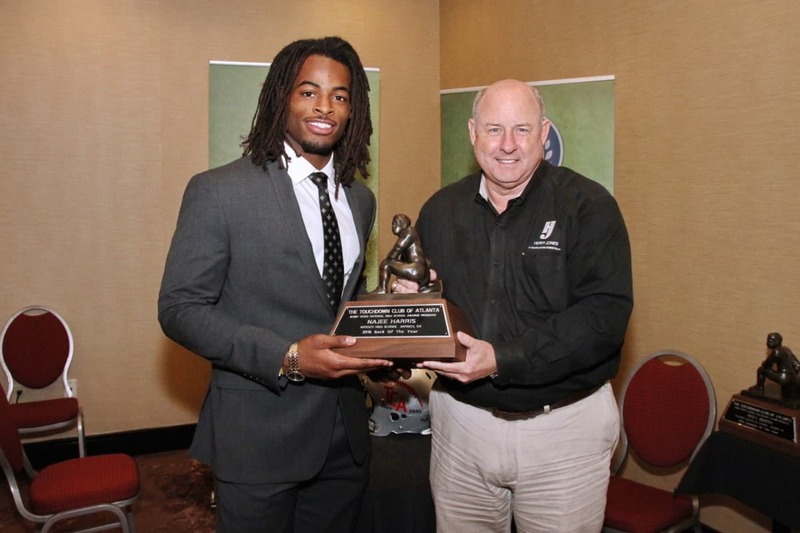 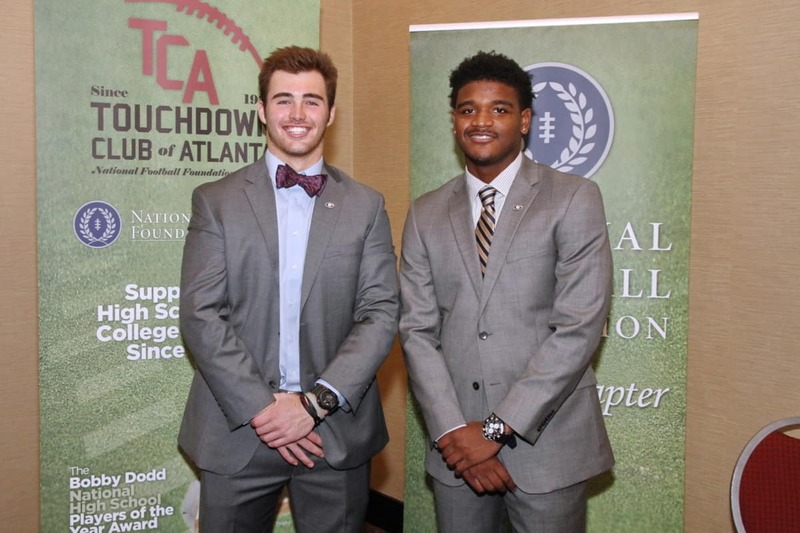 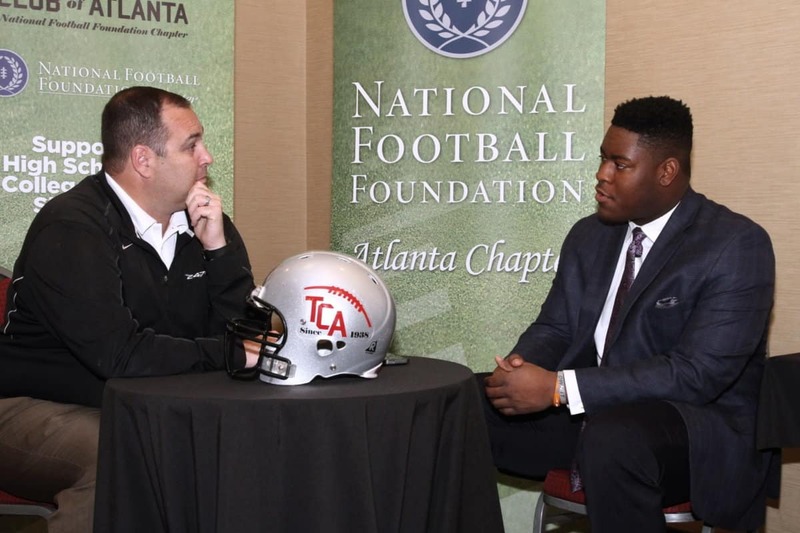 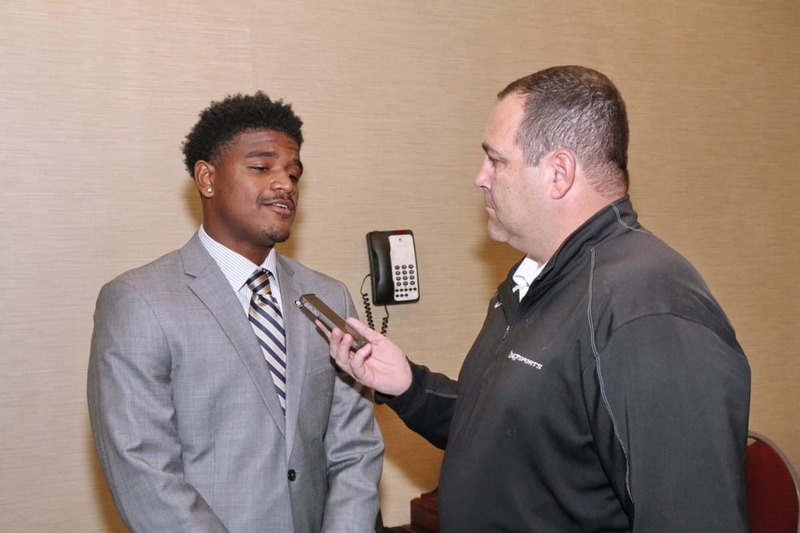 We had the pleasure of awarding Najee Harris from Antioch California as our Bobby Dodd National Back of the Year and Trey Smith from Jackson Tennessee as our Bobby Dodd National Lineman of the Year. 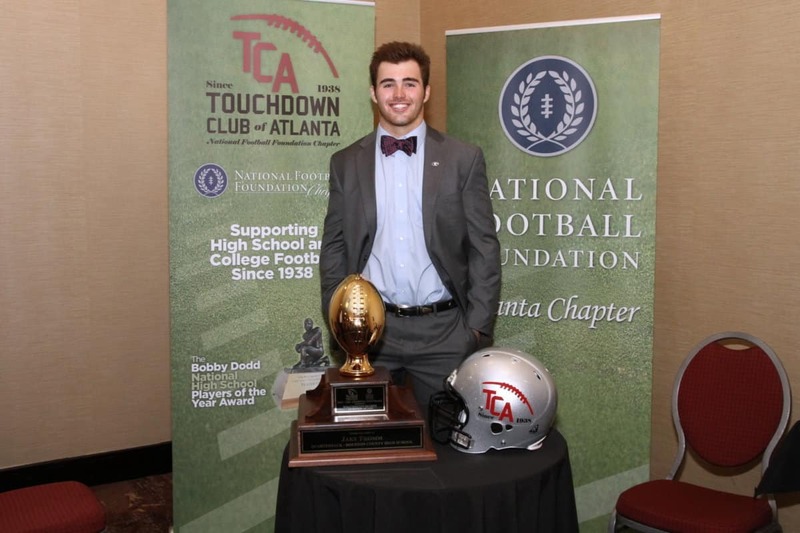 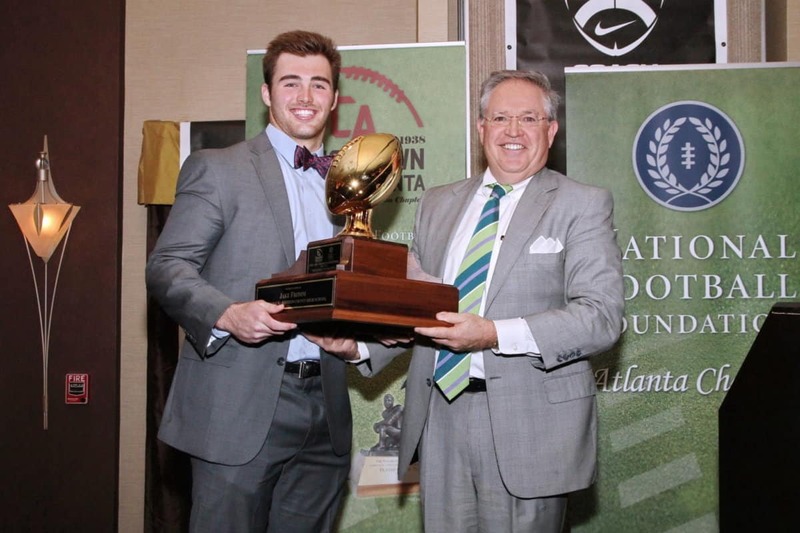 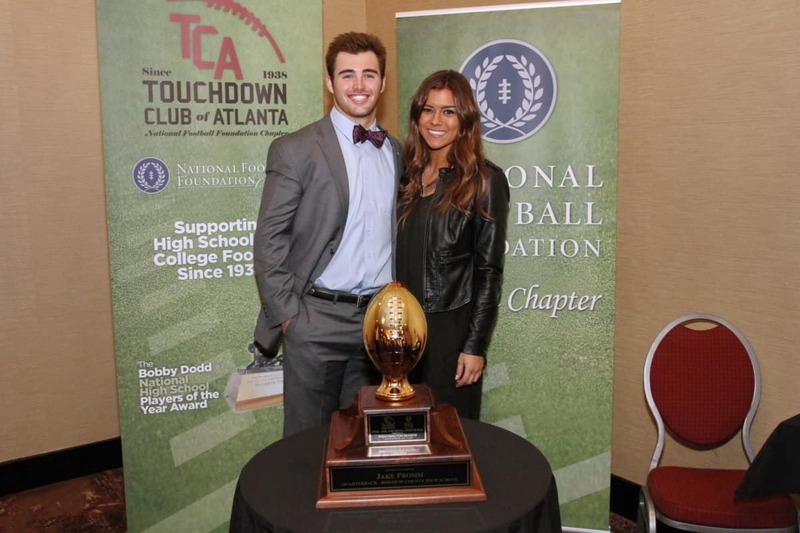 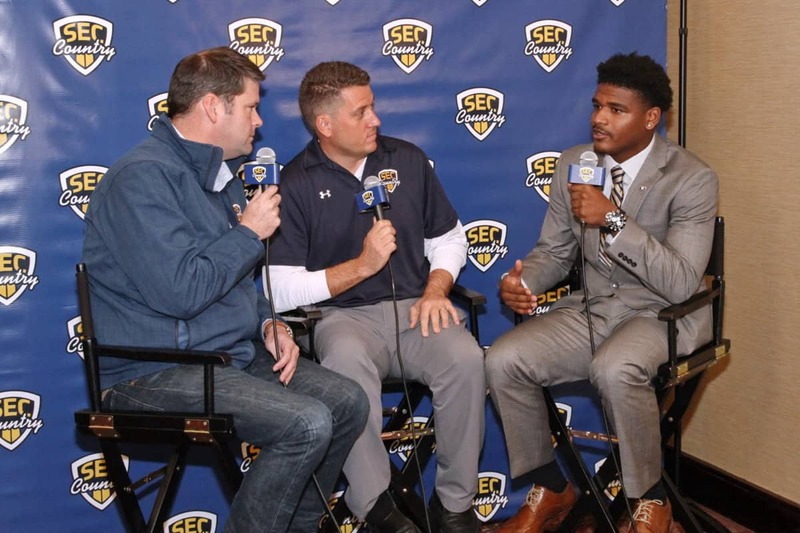 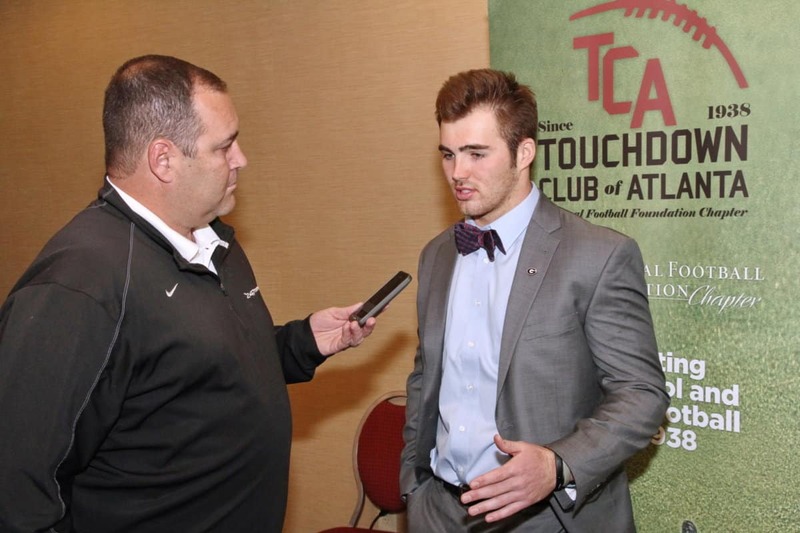 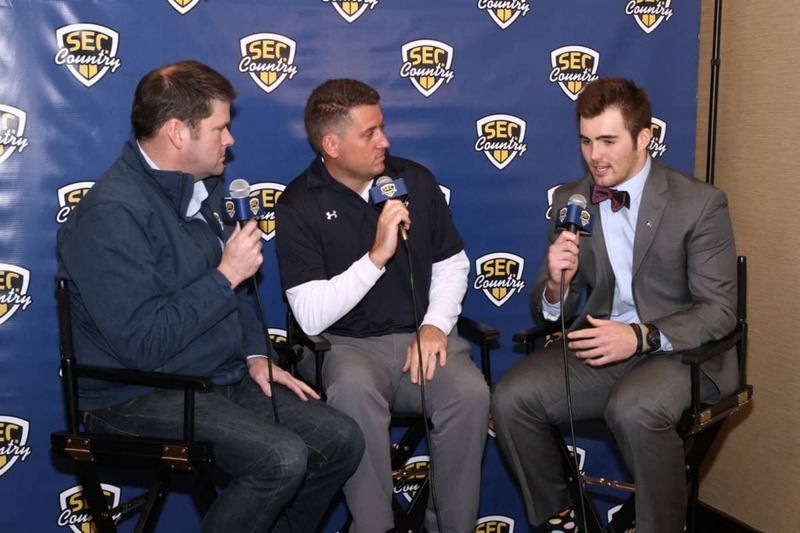 We also handed out our inaugural Mr. Georgia Football Award to Jake Fromm from Houston County, Georgia. 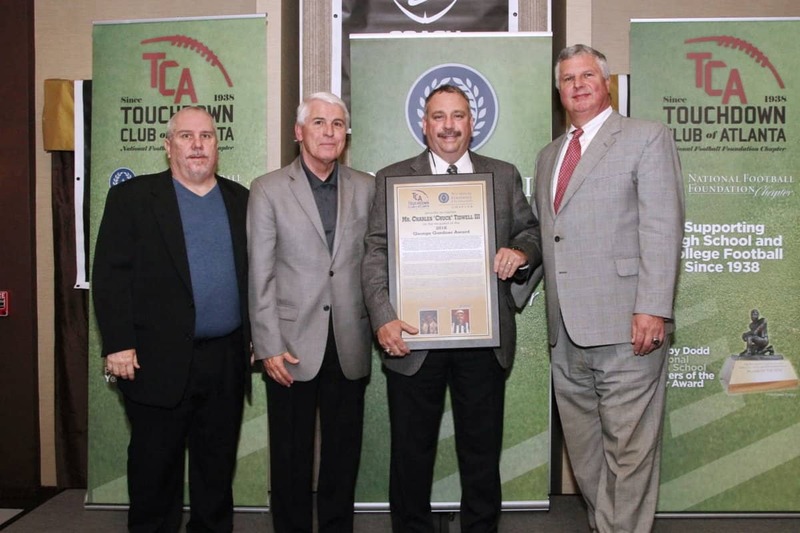 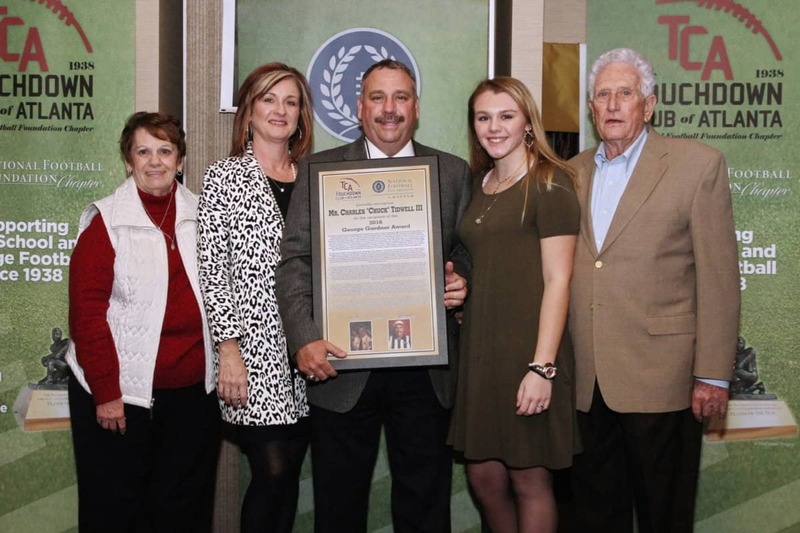 In Keeping with our traditions we added another George Gardner Award winner to Chuck Tidwell and honored all the state champion coaches from the 2016 season. 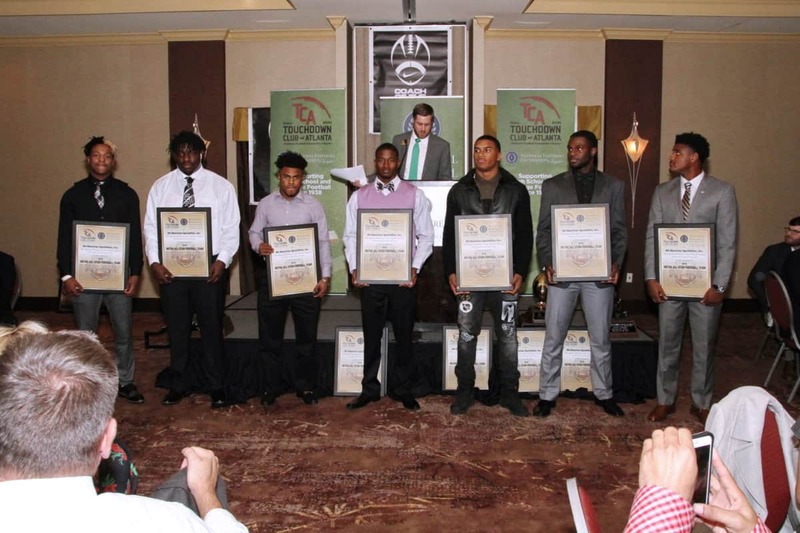 Finally, we honored our All Metro All-Star team – and what a team it is! 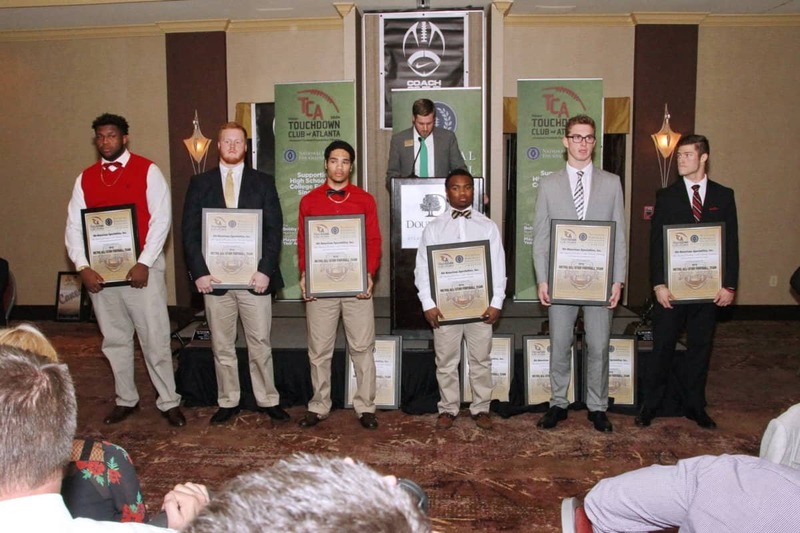 A great time was had by all to honor these outstanding achievements in high school football in 2016.